Jim Wordsworth is the proud owner of J.R’s Goodtimes, as well eight other small businesses in the D.C. Metropolitan Hospitality & Tourism industry. 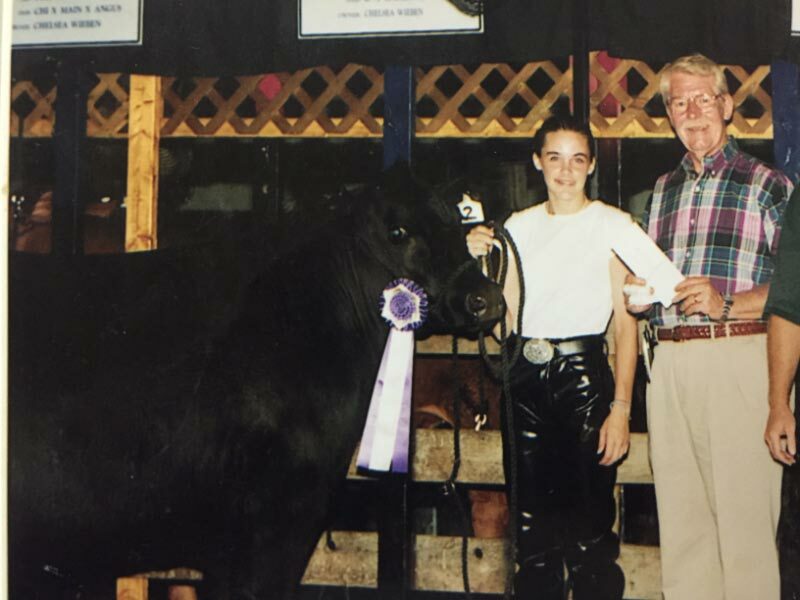 A steadfast hard-worker from his early years, Jim has earned numerous awards and recognition for his dedication to not only small businesses, but the entire community and all of it’s members. From Chairman to Restaurateur to Little League Man of the Year, Jim takes pride in all titles, consistently going above and beyond for all those he serves. As a guest of J.R.’s Goodtimes, you are welcomed as part of the family. 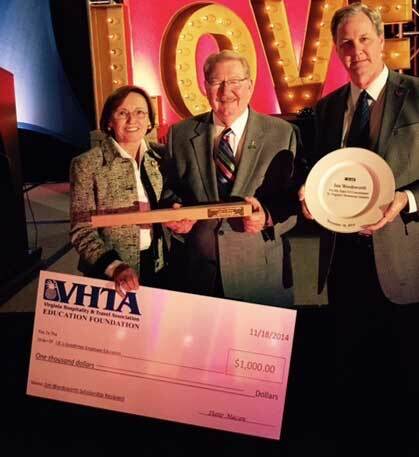 VHTA – Permanently named their Annual Restaurateur of the Year award the “James M. Wordsworth Restaurateur of the Year” Award, and committed funding of an annual $1000 Educational Scholarship to the annual winner’s employees. Mr. Wordsworth annually matches the $1000 Scholarship Fund. 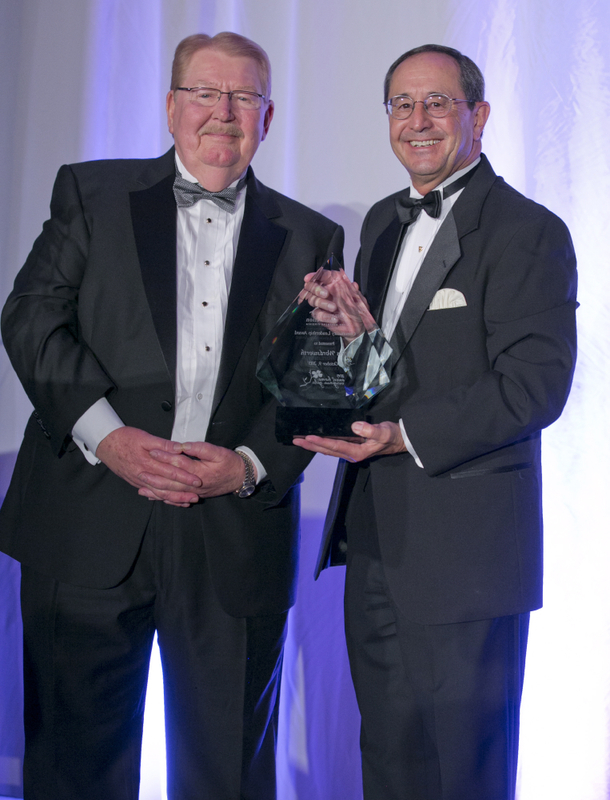 Community Foundation of Northern Virginia – Selected the 2015 Founders Award Honoree for Lifetime of Community Service. I can’t say enough good things. Very satisfied with the freshness and quality of the food and the knowledge of the servers. A huge success! Everything from reserving the date and booking entertainment to food and beverage service went extremely smoothly! It was a great experience from the initial phone call to the end of our event. The food was delicious and the staff was attentive! We will definitely be back! Mom’s party was all we anticipated and more. J.R’s has been part of our lives for many years. . . we would never think of going anywhere else. Thank you for all you did to make our wedding reception spectacular. We had an absolute blast and our guests did as well! We are thrilled with our choice to host our reception through you. Please extend our compliments to the staff for their extra special hospitality. . . we felt warm and fuzzy and well taken care of.. . . the food was wonderful as advertised. When we arrived, everything was set up so nicely . . . Signage was easy to follow. . . nice close parking and food was great quality. . . . food assortment made everyone happy. Nice variety of food. . . . the planning process was a breeze. Exceptional, I don’t know how you put out such great quality in that quantity. Perfect, I give you a number 10 rating. Many thanks to Karen and Jim, Kortni and Wes and their wonderful staff at J.R.'s. APSP-MAC has held their annual holiday party with this wonderful organization for so many years now, I've lost count. Whether it be at their original location in Tyson's Corner or at the beautiful Fairfax Hunt Club that they turn into a cozy winter wonderland, the food and the service is always first rate, and they treat us like family. We are proud to count J.R.'s as part of our holiday tradition. J.R.'s really is the best place to have your company picnic or any other picnic event! The Pavilions of Turkey Run never disappoints. Kortni and Ronnie were amazing to work with we were on a crunch deadline three months to plan a wedding under $10,000 total. they made it work did not try to sell me on things I did not need and even let us into see the venue on New Year's Eve because I was freaking out I wouldn't find a venue . they really did accommodate us on anything they could help us do including letting us in a day early to set up. They cooked everything in house they literally grilled it outside the menu options were very limited but because of that it was very easy to choose what we want to and the food was delicious. It made it very easy to just pick and choose what you wanted. Make sure you get the grilled chicken. they already had half of the decor there I had bought a lot of things to bring but it was already decorated. I think the guests really enjoyed the lodge because it's not just another plain sterile wedding venue, it was warm it was cozy. we definitely got our moneys worth and if I had any more sisters getting married I would definitely recommend this place. Bottom line is they made it really easy if you have an event a wedding renunion or something where you actually don't want to do the work, you just pick out the menu tell them what color do you want They will decorate it for you and you're done it was really simple they took all the stress out of it for me and I could not be more thankful thank you ladies! There are few places in the area that are as unique as the Hunt Club. The ladies in the marketing office know how to transform it into almost anything to fit your needs from formal weddings, dinners an holiday parties to more relaxed picnics, meetings, Birthday and anniversary parties or any other theme. It's an amazing place with its big stone fireplaces, expansive back yard and secluded setting. Let your imagination run wild. The Hunt Club was a perfect venue for our wedding reception! Everything was perfect: the facility, the food, the service, the fun - even the weather ( which was a bit less than perfect) didn't pose a problem, Thank you to Alena and her amazing staff for helping to make dreams come true!